Scale appearance is a 3" thick root next to the body. HUGE leading edge air inlets to the engines...….. It is to be a sport plane. Stability when inverted would be nice. I will fly it as a bomber. 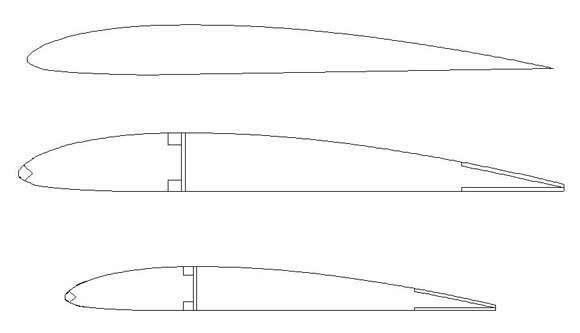 Can I use a symmetrical airfoil for the main portion of the wing ? & a more stall resistant washout airfoil on the outer 3" of the wing for better stall resistance ? Like a Clark Y if I can find the pattern. 4 S F of wing area. The 2 wing panels are 8 oz. body will be about 3 oz. single tail pusher prop. I do not mind having to use more power for the thick wing section. Please see if the scale wing shapes below are O K. Do I need any of the reflex curvature ? Last edited by cyclops2; 03-19-2019 at 05:57 PM. 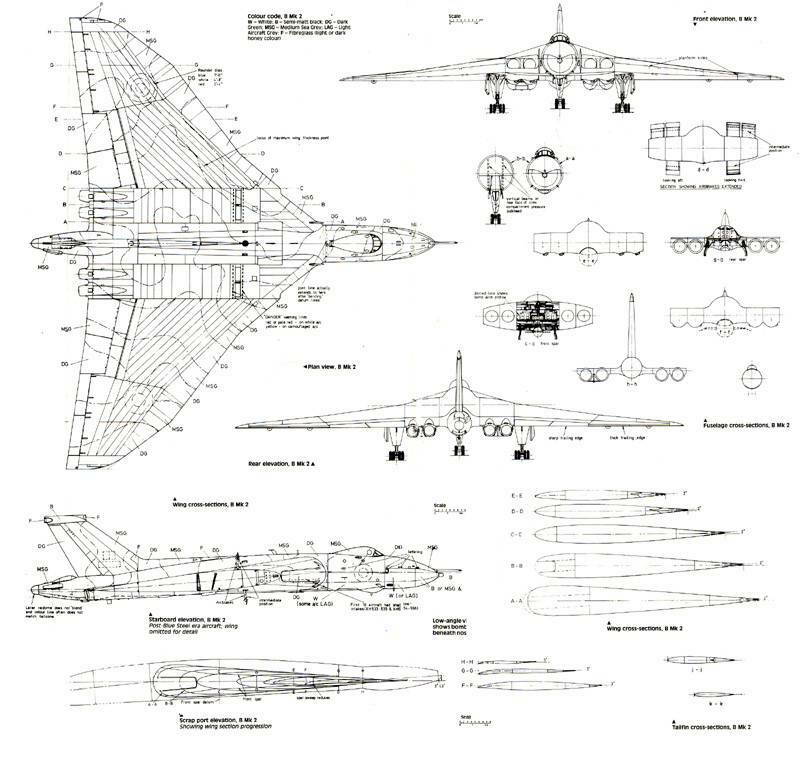 Cyclops, since the Vulcan is basically a flying wing you'll both want and need to use a wing airfoil with some reflex rather than a flat bottom wing with a strong camber value. That wing airfoil will act like you're holding a lot of down elevator in it. I'd suggest you go for the pretty much scale symmetrical airfoil with some washout and reflex at the tip airfoils. In fact for a change even with a 48" span the chord will be so large that even at moderate flying speeds the Reynolds numbers will be so high that you will get away with the super thick root airfoil even with the funky inlet leading edge.